paint right – just saying). These cards are a fun way to review a lesson. I first saw them used by Angela Howard on her blog, Bible Class Creations. She has templates for hidden sheep (click here for sheep) and the lost coin (click here for lost coin page). I used them for Moses being hidden in the bulrushes. I used Philip Martin’s art for the picture of Moses. Each card contained 6 of those images. 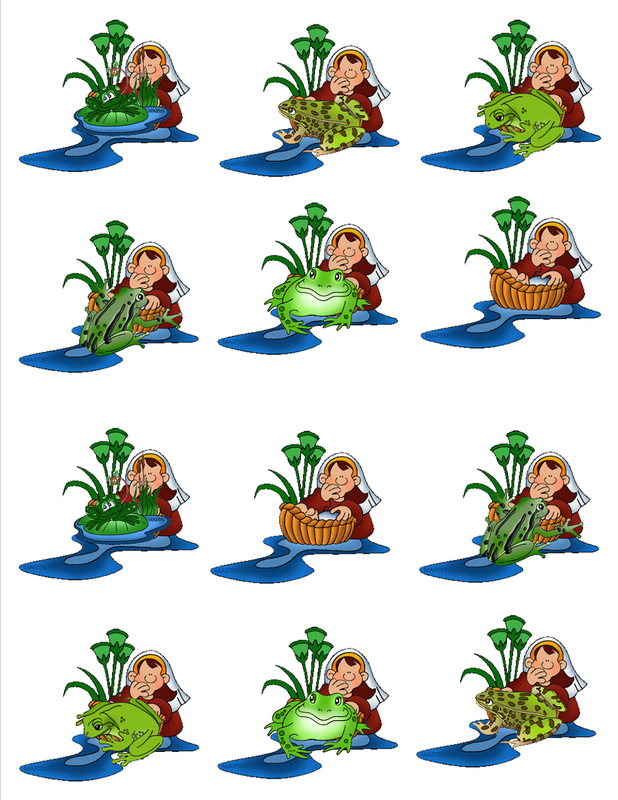 Then, in the document, I pasted 5 different frogs over 5 of the baskets so that Moses could not be seen, thus only one of the pictures actually contained a baby Moses. I put 2 boards on each page and then cut them in half. There are a total of 6 boards in the template below. 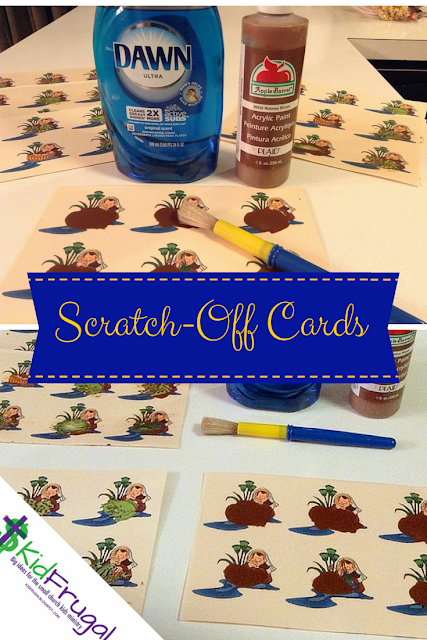 Click HERE for the templates for my Moses in the Bulrushes scratch-off cards. Cover them with clear contact paper, or laminate them. Mix one part dish-washing liquid to two parts paint. I have seen different proportions used on the internet, but this one dried faster than when I used larger amounts of detergent. 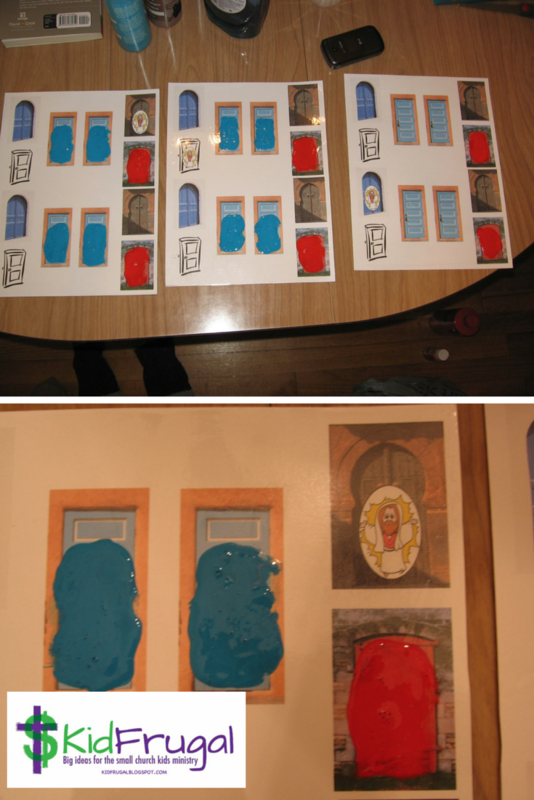 Paint a small puddle of the dish liquid/paint mixture over each picture and let dry. We used craft sticks to rub them off. The kids had fun scratching off the cards, and of course wanted to scratch off all of the pictures. I am a firm believer in hands on activities. I believe they help the concepts to become rooted in children’s minds. Also, when kids are enjoying what they are doing, they are open to receive spiritual truths. We always enjoy talking about the truths from a lesson while children are doing activities such as these. Here are some older scratch-off cards that I did. I used too much liquid detergent in this mix. It still worked, but it took a long time to dry.